Mark practices in the areas of family law, juvenile law, personal injury, estate planning and probate administration. In June of 2005, Mark completed a forty-hour training program in family law mediation, and has therefore become a certified family law member. Mark is a member of the Indiana State Bar Associations. 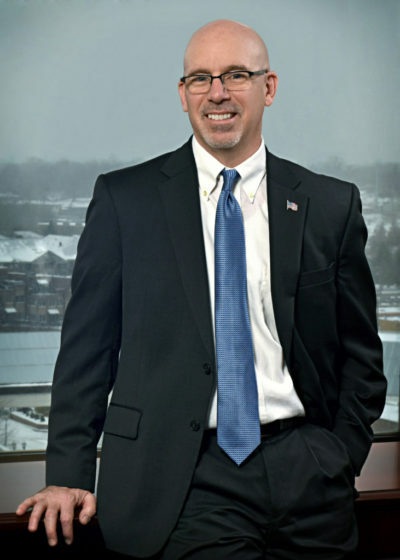 He is also the chairperson of the Family Law Committee of the St. Joseph County Bar Association. Mark has completed the Juvenile Training Immersion Program summer academy in June 2014. The National Juvenile Defender Center (NJDC) and Georgetown law created JTIP Summer Academy specifically for juvenile defenders with a curriculum to enhance the capacity of juvenile defenders to provide high-quality representation to their clients at every stage of the delinquency system and to heighten their effectiveness by tailoring their defense strategies to the unique aspects of delinquency representation. Mark became a certified JTIP trainer May 15, 2015. Mark and his wife, Lisa, and their three children attend St. Jude Catholic Church in South Bend.